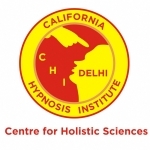 Past Life Regression Therapy – CHI-DELHI…Be a part of QUANTUM CHANGE !! What is Regression / Past Life Regression? Regression therapy is a therapeutic process that uses one’s earlier life experiences as source material to resolve current problems. Most of our problems, psychological or psychosomatic, arise from our experiences that we may or may not remember. The process creates a sense of understanding, integration and ultimately purification from the past experiences that are unassimilated. Exploring past lives enables a person to have a deeper insight to an experience which may be hovering around one’s present and can be unsettling. There may be certain patterns occurring in the person’s life which may cause lot of problems and limitations to the person mentally, emotionally and physically as well. These patterns can be broken as the cause can be coming from their past lives which unknowingly they have been living again in the present life. This experience can be liberating and help them clear their blockages of moving ahead in their life. This has helped many resolve their fears and phobias, dealing with traumas, relationship issues and illnesses that seem to be erupting out of nowhere. Each session is directed towards Catharsis, which is an emotional release that leads to emotional peace.